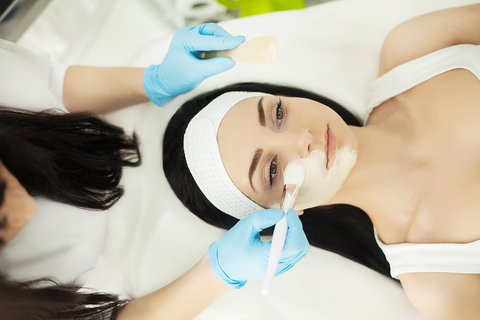 If you want hair free (peach fuzz), brighter skin which your makeup will glide smoothly onto then Dermaplaning is where its at! A sterile blade is used to gently remove dirt, oils and peach fuzz. Giving the skin a deep exfoliation. Only 1 treatment is needed every 4 weeks, and results are evident after the first session. This is an excellent facial to have before, microdermabrasion, microneedling and chemical peels to further enhance the results. There is no downtime for this treatment and it is pain free. It is important to note that your hair will not grow back thicker and only the soft downy hairs (peach fuzz) will be removed. For thicker hairs it is advised to thread these out beforehand. As these will grow back stubbly if removed. This treatment can be carried out every 4 weeks. No makeup for 24 hours. You may experience dryness but this is completely normal. You will to use a good hydrating moisturiser. The dryness will subside in a few days. You may experience blemishes. These are underlying spots that have surfaced sooner due to the deep exfoliation. To be the first to know about our latest products and services please fill out the form below.